So here’s the deal, my friends: Frozen blackberries + Banana (frozen as well) + Thick and creamy vanilla Greek yogurt + Honey + Cinnamon —> swirled, pulsed, and whipped into total smoothie submission. The best part? 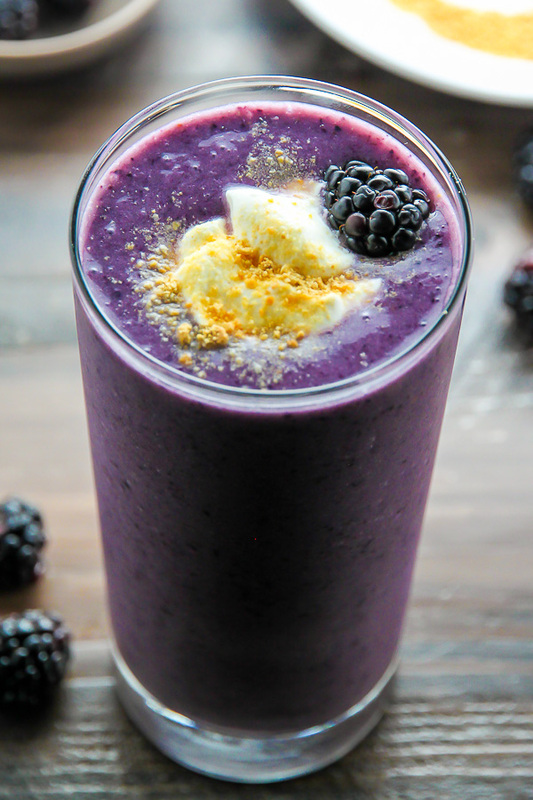 This smoothie – ahem, this healthy smoothie – taste just like blackberry cobbler! 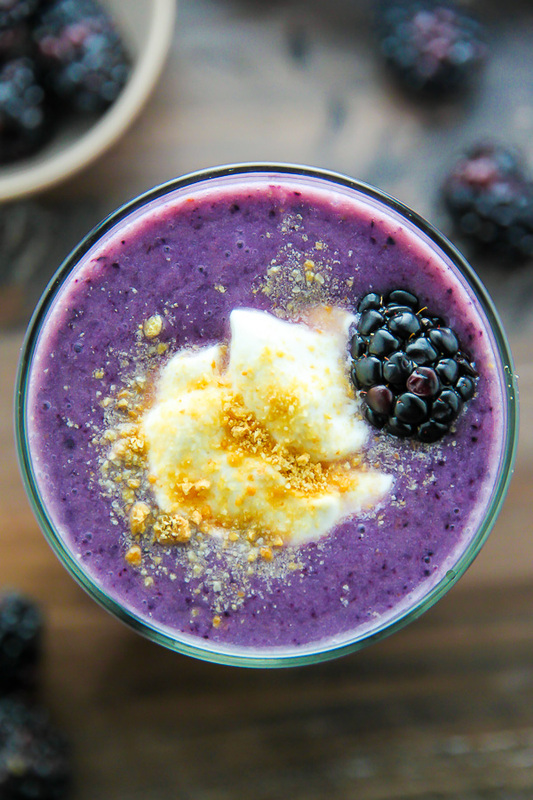 A blackberry cobbler smoothie! Am I your girl or whaaaat? 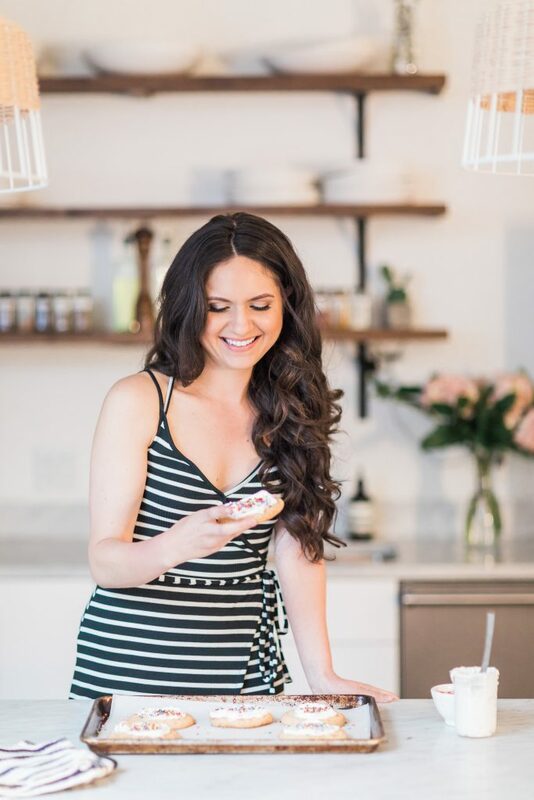 Now, I’ve said this before and I’ll say it again: I take my smoothies very seriously. When I want a smoothie (which is often) I want a SMOOTHIE. With texture, depth, and flavor. I also prefer it to be healthy and taste like dessert. I ask for a lot, I know. But hey – who says we can’t have it all!?! 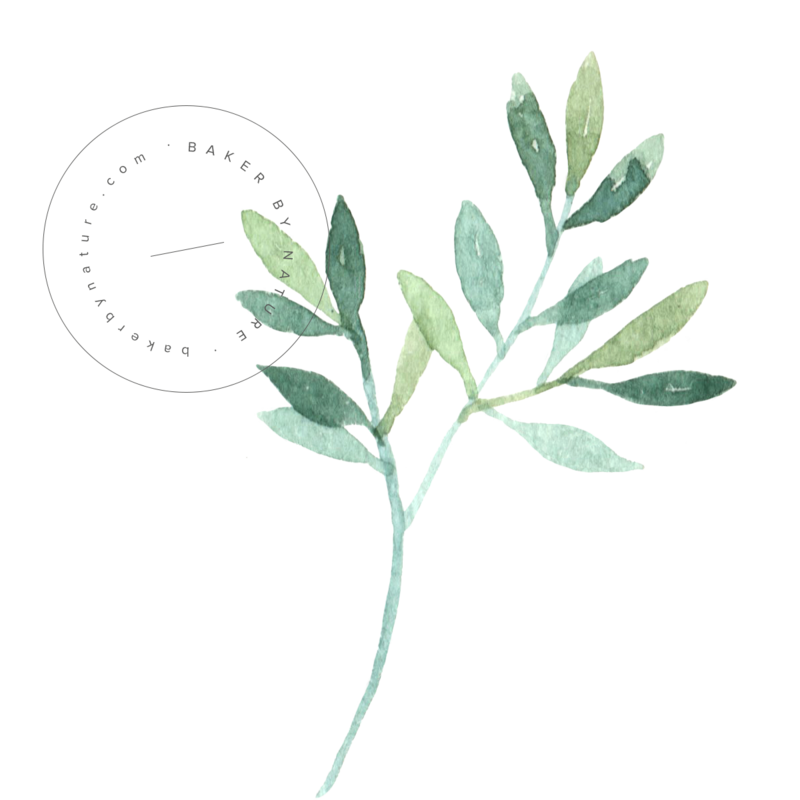 Place all of the ingredients in a blender and pulse until smooth. Pour into glasses and serve at once. 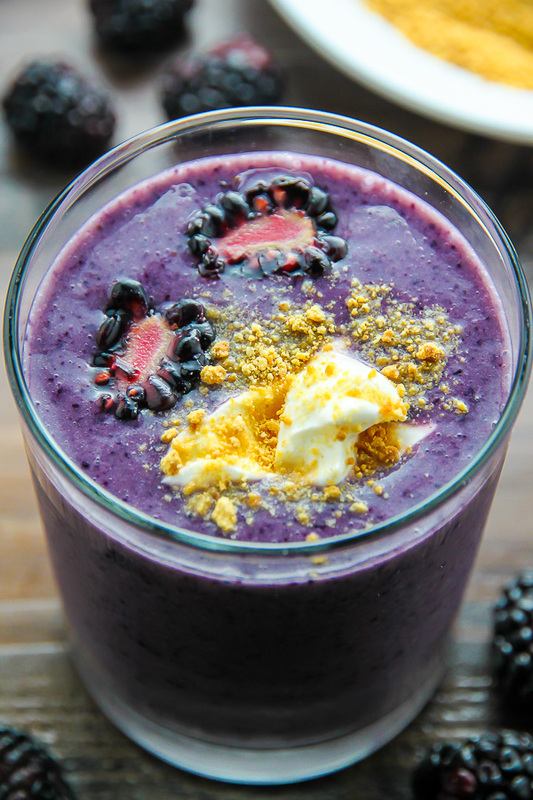 I love smoothies, but have never tried a Blackberry one. Hope to make one soon! Where do I get this yogurt? Hi Daniece. Unfortunately I just found out that Yulu has been discontinued 🙁 Any vanilla yogurt will work in its place for this recipe, and I will update the post today. What’s the crumbled yellow stuff on top in the picture? I used honey, vanilla Greek yogurt and didn’t put in the 1TBLSP of honey, also I added a package of Carnations Instant Vanilla Drink mix. Blended with my bullet. Easy, peasy.